If like me, you’ve ever been to a gig at any O2 venue then you’ll know they are one of the best spots to see your favourite bands. Sure the sound isn’t always perfect, but it’s more about the people that go to the concerts at the O2 and the bands that play there. It’s the type of people that are truly passionate about live music and that’s what sets the perfect scene for an indie rock concert. With that in mind, the O2 in Newcastle lives up to the expectations of a quality music venue and was the ideal setting for Scottish indie-rock band. 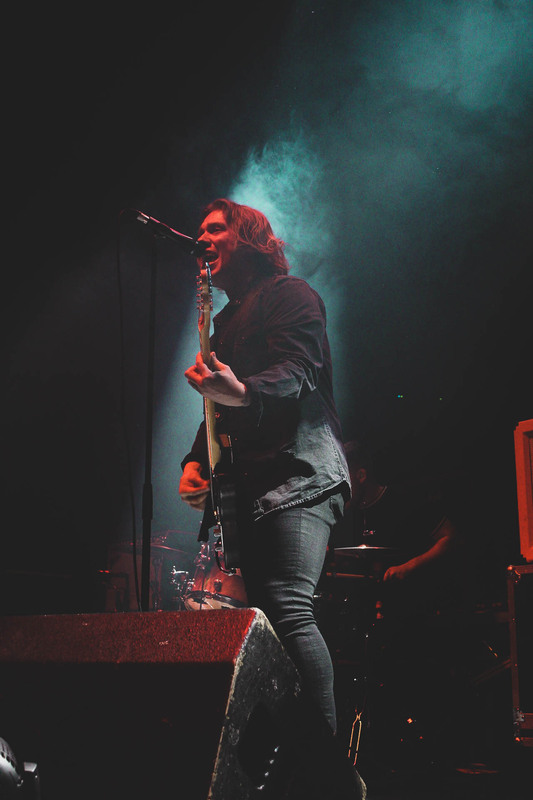 Heading out on one of their biggest tours yet, Retro Video Club are massive on the indie music scene right now; and there was nothing spared when they opened for The Hunna last Thursday night. With their opening words emphasising the connection between Scotland and England, there’s no wonder Retro Video Club seemed right at home on the stage at Newcastle’s O2 Academy. Being Scottish myself, I’m biased in saying that Scottish bands know how to bring a gig to a whole other level and Retro Video Club did not disappoint. With any band, there’s always an added pressure being the opening support act – you’re playing to a crowd that’s not necessarily there for you and most likely only half of the audience has turned up at this point. I mean who hasn’t gone to a gig until half 8 so you’re not standing around for two hours watching someone you’ve never even heard of. However, it was clear from how busy the room actually was at 7.30pm on a Thursday night, that people had turned up with the clear intention of seeing Retro Video Club’s set. If there was any anxieties before hitting the stage then these lads hid it well and handled the pressure with a nonchalant shrug of the shoulder hitting the stage with an uproar of energy and setting the tone for the rest of the evening. From the onset the audience were fully hypnotised by Retro Video Club, and for obvious reasons. They demand your attention with their toe tapping rhythms and heartfelt lyrics. With the audience even singing lyrics back to them, it was clear that these guys have captured the hearts of the Geordies. With their latest single Addicted out now, they are one of hottest bands out of Scotland right now and I for one can’t wait to see them come back to Newcastle for the Hit the North Festival this May. Following on from Retro Video Club, was Barns Courtney. A singer I hadn’t yet heard of until this gig, but it seemed like the crowd were fully up to date on this guy. Courtney, and his band, kept the energy going and made the perfect accompaniment for what was to come with The Hunna. Making full use of the stage and engaging with the audience on another level, Courtney was clearly in his element on stage in front of a live audience. He was born to be a performer, with moves that honesty could rival Mick Jagger, I was sold. Whether you wanted to clap along, sing your heart out or just have a good dance along: Courtney’s performance brought it all. Without wanting to sound cliche, you could feel the atmosphere in the room almost like electricity in the air. 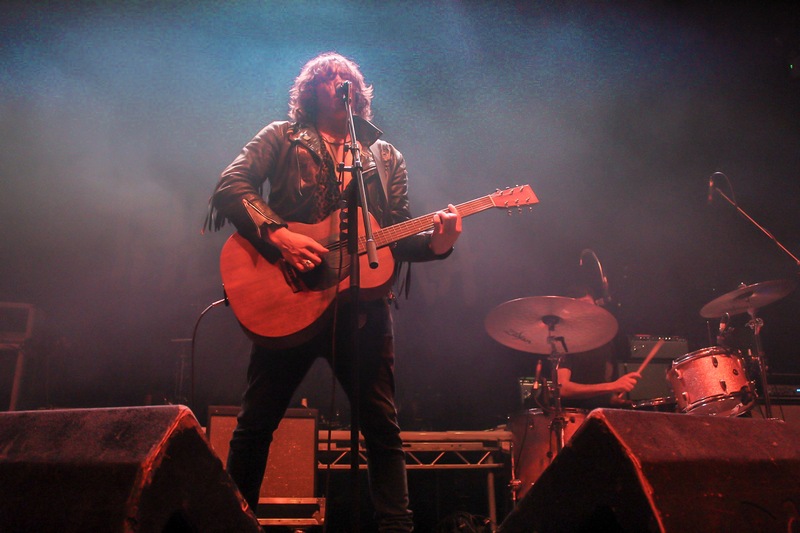 Both Retro Video Club and Barns Courtney were the ideal support acts for The Hunna’s tour. They provided the perfect complement to the energetic rhythms and pure rock and roll vibes that you’d expect from The Hunna’s gig. I’m sure if you asked anyone that attended this concert, they’d agree it was up there with one of the best gigs that they’d been to: a truly memorable experience and personification of what indie-rock entails.